Thank you for starting your home search with me, Gina Mounce with Keller Williams Realty. 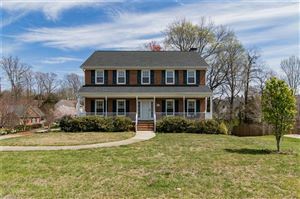 Everything you need to know about buying or selling a home in Winston-Salem, Greensboro, High Point and the surrounding communities can be found on my Real Estate website. A home is one of the most important financial investments you will make in your lifetime. My commitment is to empower you to make informed decisions through knowledge and expertise and make the process as stress free as possible. Please use my tools here to begin the search for your dream home or determine the value of your current home. Download my mobile app for access to the most current and accurate information on homes for sale in the Triad. I appreciate the opportunity to earn your business.